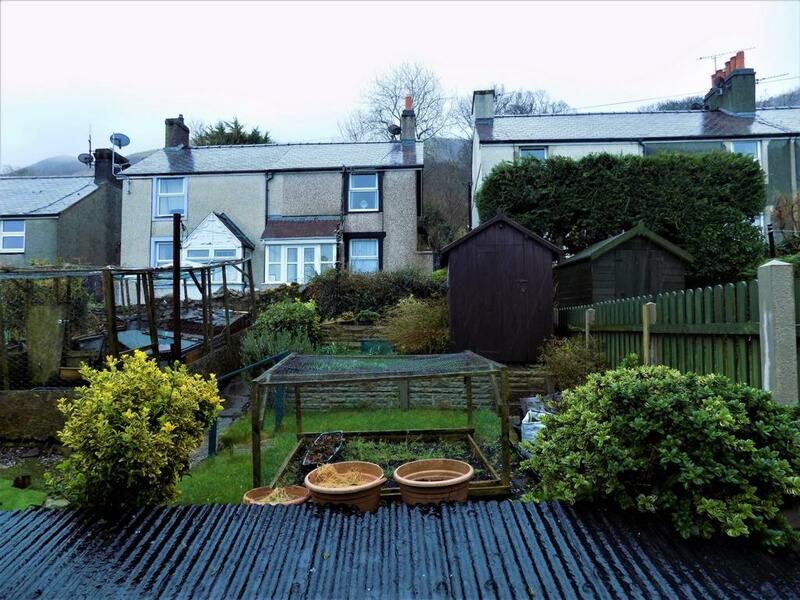 nu:move are delighted to present to the property market, this 2 bedroom mid terraced cottage located within the popular Victorian Town of Penmaenmawr. From its slightly elevated position, this cosy home commands wonderful sea views across the Menai Straits, Anglesey, Puffin Island and across to the Great Orme of Llandudno. This comfortable home is ideal for a first time buyer, but also lends itself as an ideal and very attractive buy-to-let investment opportunity. With so much to see and do within this locality of North Wales, there may also be scope for the property to become a lucrative holiday rental cottage should the buyer wish to pursue this opportunity further. The Victorian seaside town of Penmaenmawr offers local independent shops along with a selection of Café's, Pubs and Restaurants.The property is also situated just a few minutes' walk away from the beautiful and popular woodlands area which is ideal for walkers and wildlife lovers which also leads to the sandy beach which is also only minutes away. The sandy blue flag beaches of Penmaenmawr offer an array of outdoor activities and a variety of water sports and the beautiful long promenade. Local leisure amenities also include its Penmaenmawr Golf Course. Penmaenmawr also offers good public transport links via numerous bus services and by train from Penmaenmawr mainline train station offering direct services to Holyhead, Cardiff and London. Easy access routes are available via the A55 expressway providing easy access to Conwy, the University town of Bangor, Chester, Liverpool and beyond via the motorway network. There is on street parking outside the property and there is also additional car parking in the car park at the end of the road. Early viewing is recommended to appreciate what this delightful property has to offer. Fully fitted carpets, pendant ceiling light, and radiator. Upvc double glazed window to front aspect. Original period feature Victorian fireplace with decorative tiling inset, open grate fire complimenting slate hearth, telephone point, recessed shelved storage cupboard, wall panelling, radiator, fully fitted carpets. UPVC double glazed window to the rear aspect. Wooden fireplace with mantle, under stairs storage cupboard with shelving and folding wooden slatted door, fully fitted carpets, radiator, smoke detector. UPVC double glazed frosted window to rear aspect. Fitted Kitchen benefitting from a good range of wall and base and drawer units with roll top fitted work surfaces. Stainless steel inset single sink unit with drainer and hot & cold taps. Space for a washing machine with plumbing points, additional space for Fridge & Cooker. Upvc panelled ceiling. UPVC double glazed frosted door to the rear garden. Loft hatch access to the roof space, ceiling light, heating control thermostat, smoke detector. UPVC double glazed window overlooking the rear garden, fully fitted carpet, and radiator. UPVC double glazed frosted window to the rear. Modern three piece white bathroom suite comprising panel bath, pedestal sink, low level WC. with push button flush. Over bath Triton shower, partially tiled walls. Airing cupboard with slatted shelving housing gas fired combination Potterton boiler. Steps leading up to the lawned seating areas, built in tool storage, timber garden shed. Important notes: There is a shared access pathway to the rear of the property.